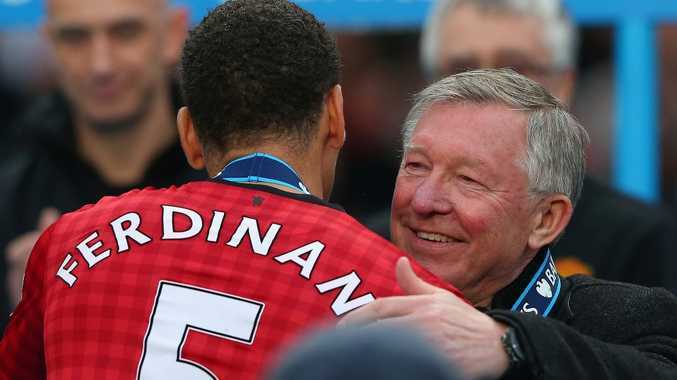 DEFENDER Rio Ferdinand's first goal in five years gave retiring Manchester United manager Sir Alex Ferguson a perfect send-off in his final game in charge at Old Trafford. Ferdinand's strike three minutes from time, secured the champions a 2-1 win against Swansea. Ferguson's replacement, Everton manager David Moyes, also received a fitting farewell at Goodison Park in his final appearance at the ground he has called home for 11 years. Kevin Mirallas scored twice in the 2-0 win over West Ham, and Moyes was visibly moved by the reception he received before, during and after the victory. At the other end of the ladder, Newcastle and Norwich ensured they would be in the Premier League next season after beating QPR and WBA respectively. Sunderland and Southampton drew 1-1, meaning third-last Wigan is now four points behind Sunderland, and five behind Aston Villa, Fulham, and Southampton. If the FA Cup winners are to have any hope of escaping relegation, they need to win their final two games at Arsenal tomorrow (AEST) and at home to Aston Villa on Sunday.